I spent my Saturday evening skiing at Swain Resort located in Western New York. Swain is a small mountain that attracts many local skiers and riders. It was so awesome to be at Swain and see all of the young skiers and riders, enjoying their evening doing something that they love. It is definitely a place to be on a Saturday evening. Local kids and teens all hanging out at their mountain, shredding and having a great time making memories. It reminded me of my local mountain back home, I was one of those skiers in High School, who never got off the mountain, just like the teens who were there on Saturday evening. Swain has a lot to offer for all levels of skiers and riders; lots of lessons were going on while I was there. But the most populated area on the mountain was the rail park. People were hiking up the small rail park over and over again. Situated right outside the lodge, it is perfect for a few spectators too. These park kids are dedicated. On other parts of the mountain were families who were skiing together. You can tell that Swain is very family oriented, they had $10 chicken dinners going on outside and a bonfire on their deck. Lots of stuff happening, a great way to spend your evenings, skiing with friends or family! One of my favorite types of skiing is night skiing and Swain has plenty of that! Open every day this week due to Presidents Week Break from 9am-9pm, you have plenty of time to get out on the mountain and have some fun! 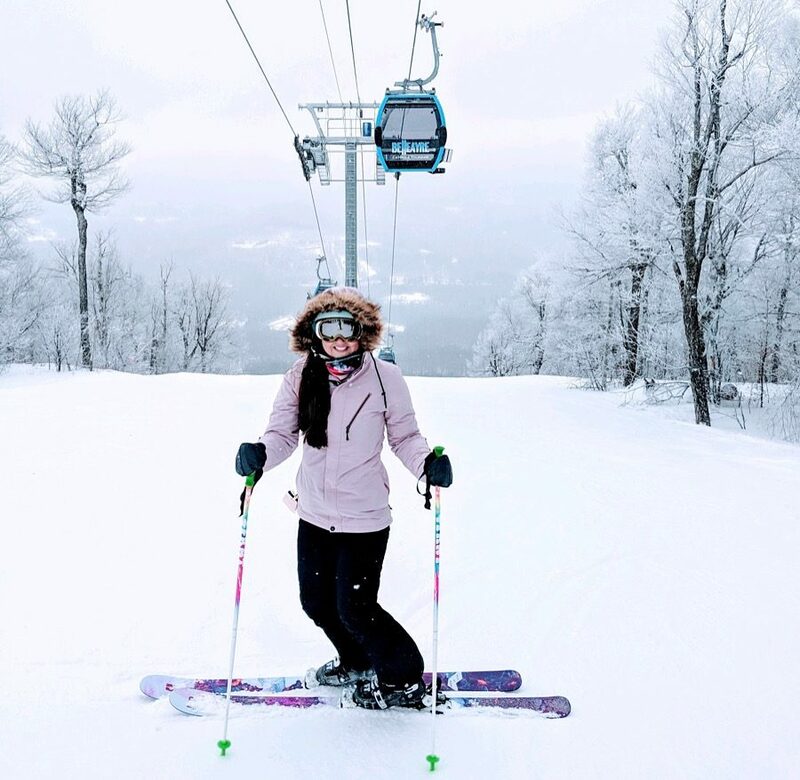 This holiday week Swain Resort is offering buy one get one half off All Day lift tickets for Wednesday, February 21st! Come shred and bring a friend! On Saturday February 24, Swain will host the annual New York State Special Olympics Alpine Event. The event will feature alpine skiing and snowboarding and take place from 10am-4pm. Go check it out! Previous Learn to Ski and Ride NY!